180 pages | 21 B/W Illus. This is a handbook for the cultural entrepreneur, offering some of the best examples on practice, franchises, research, innovation and business opportunities in the cultural sector. The key theme is the contribution and possibilities of the cultural economy as a business, with a strong supporting subtext on innovative practice. The book illustrates the theme by providing multiple practice-based and empirical examples from an international panel of experts. Each contribution provides an accessible and easily accessed bank of knowledge on which existing practice can be grown and new projects undertaken. It provides an eclectic mix of possibilities that reinforce and underscore the full innovative and complex potential of the cultural economy. Topics include a review of the global and regional economic benefits of the cultural economy, evidence-based analysis of the culture industries, and an outline of the top ten cultural opportunities for business. 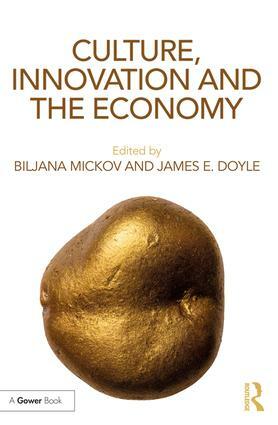 This collection transcends the space between theory and practice to combine culture and innovation and understand their importance to a wider economy. This is essential reading for researchers and practitioners interested in entrepreneurship, non-profit management, art and visual culture, and public finance. 15. Are Cultural Sites Leisure Businesses? 22. Afterwards: The Top Ten Cultural and Creative Economy Facts - and Some Questions? Biljana Mickov is a cultural researcher, editor and consultant. She is responsible for the Creative Industries programme at the Institute of Culture Vojvodina, Serbia. Her work is primarily dedicated to researching and developing cultural policies and contemporary arts management internationally in cities. James E. Doyle is an expert adviser on Arts & Cultural Policy and Strategic Development in Guinea-Bissau, West Africa. He is a former Arts Officer for Dublin City Council, advised on the music hub for Parnell Square Cultural Quarter and coordinated the start-up of Dublin's bid to be the European Capital of Culture 2020. James has extensive managerial experience in the arts, culture and events sectors, he has held positions in research & education, and at regional and national level in event industry training.